Is God a forgiving God? Is He gracious and compassionate? Is He slow to anger? Is He abounding in love? Can God provide for you? Can He sustain you, even when you are in an physical, emotional or spiritual desert? “But they, our forefathers, became arrogant and stiff-necked, and did not obey your commands. They refused to listen and failed to remember the miracles you performed among them. They became stiff-necked and in their rebellion appointed a leader in order to return to their slavery. But you are a forgiving God, gracious and compassionate, slow to anger and abounding in love. Therefore you did not desert them, even when they cast for themselves an image of a calf and said, ‘This is your god, who brought you up out of Egypt,’ or when they committed awful blasphemies. 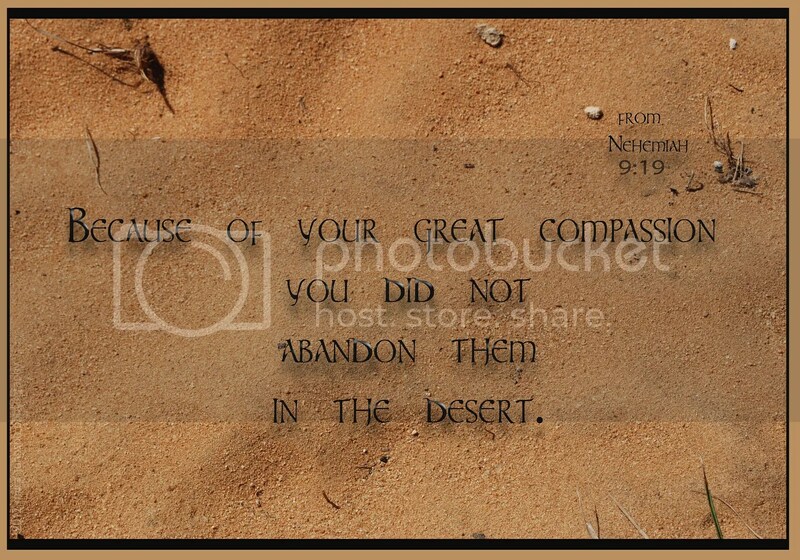 “Because of your great compassion you did not abandon them in the desert. By day the pillar of cloud did not cease to guide them on their path, nor the pillar of fire by night to shine on the way they were to take. You gave your good Spirit to instruct them. You did not withhold your manna from their mouths, and you gave them water for their thirst. For forty years you sustained them in the desert; they lacked nothing, their clothes did not wear out nor did their feet become swollen. There is no denying that rolex watches are the best Christmas gift for you by any means. They are imitation watches which will stunningly develop a huge sigh of relief into your souls for a very long period of time. Wonderfully online rolex watches store offers you the best rolex replica for your Merry Christmas. These watches are known for their precision and elegance. Each Rolex watch, whether it is a men’s watch or a ladies’ watch, is a marriage of beauty with excellence. This has given Rolex watches a distinctive look and they can be easily recognized even when put with several other similar appearing watches. The company has manufactured a number of collections till now including Ladies Rolex Datejust Two Tone and almost all of them have been tremendously successful. Great work! That is the type of info that are meant to be shared around the internet. I just sent this post to a bunch of my friends as I agree with most of what you? ?re saying here and the way you? ?ve presented it is awesome. That is the kind of info that are supposed to be shared across the web. La Barton recently announced that she will partner with designer Stacey Lapidus on a line of bejeweled, luxe head bands and hair accessories. The flame of the sun, in the winter brings warmth to energy, the sun always is noble special symbol.